Our supply partner is one of the country's leading UK manufacturers and suppliers of Laboratory Furniture for Pharmaceutical, Research, Industrial and Healthcare sectors. We can provide complete turnkey laboratory construction projects for new build facilities, providing design, manufacture and installation of industrial laboratory furniture systems, school laboratory furniture, services and associated products including write up areas and office furniture. In addition to new build facilities we also provide comprehensive laboratory refurbishment solutions for clients wishing to revamp or upgrade their existing laboratories or science classrooms. 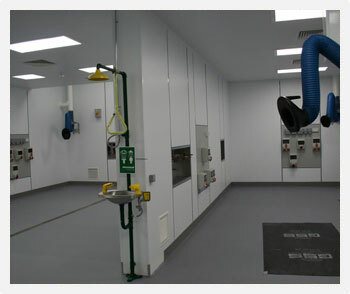 We pride ourselves on our fast track response to our clients enquires, and ensuring the smooth transition of your new build lab construction or laboratory refurbishment project, from the initial enquiry right through to the design, manufacture, installation and final handover of your new laboratory facility. For more information about our Laboratory products and services, or for details about past projects we have carried out, get in touch today.